The Chumash people have lived in coastal California from San Luis Obispo to Santa Barbara for thousands of years. Their homeland is an area of uncommon biological richness and diversity, featuring over 1,500 species of plants. 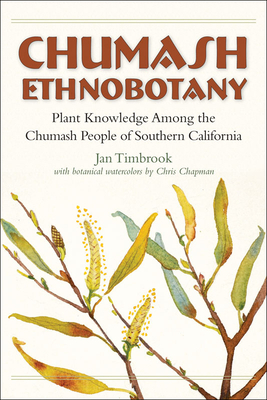 Their traditional foods, medicine, raw materials for making clothing, all kinds of tools and utensils, religious paraphernalia, and other items essential to existence were derived from the natural world; in one way or another, everything the Chumash people made involved plants. This painstakingly researched and scrupulously documented book, intended for the layperson interested in gaining a deeper understanding of a significant California Indian culture, reveals a landscape seen daily by thousands of people but understood by very few.